Liverpool Glass specialises in offering the best solutions for your business, including glass partitions and curtain walls. We know what it takes to add that extra “something” to make your work space more inviting and comfortable. There’s no denying that glass partitions are beautiful to behold, especially when frosting or coloured glass is used. But the benefits don’t end there! They serve a practical function too: dividing your space into multiple areas, controlling noise levels and providing privacy for an optimal working environment. They’re also cost effective, because they require little to zero structural modifications. 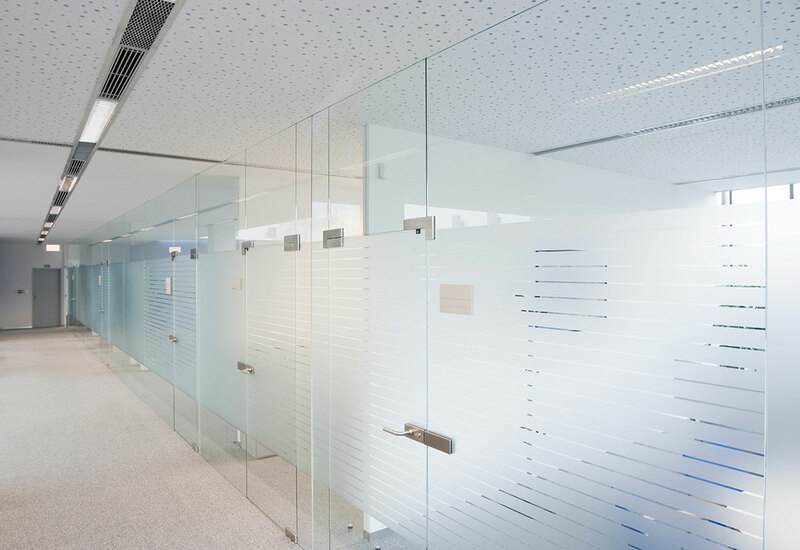 Best of all, glass partitions allow light to flow through your office environment, which can cut energy costs. Embrace this modern and practical touch, to reflect the innovative culture of your company. Liverpool Glass can also provide glass curtain walls for your commercial or architectural project. These beautiful structures are designed specifically for residential, industrial and commercial buildings. They act as exterior wall systems, which can span two or more floors. Not only do glass curtain walls let in plenty of natural light and give way to beautiful views, they also help to maintain optimal temperatures in the office, by boosting insulation. Our friendly staff can work around the clock to help you (we’re available 24 hours, 7 days a week). Contact us for more information about our products and services.